I just finished securing the web sites steeplechasers.org and scoretility.com. Hopefully you won’t notice much of a difference other than in your browser window these should indicate “secure” or a lock icon, depending on your browser. The very observant among you might notice the links are now https instead of http. March 30, 5:00-9:00 p.m. – Attaboy Beer, 400 Sagner Avenue #400, Frederick. Forget March Madness, it’s Malt Madness! 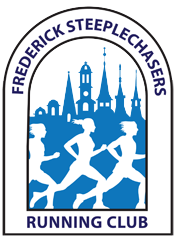 Results from the Forest of Needwood 5 Mile Race have been posted. Grand Prix series standings have been updated accordingly.